Our lists of FAQs include information about garage door painting, maintenance and more. Which is the most convenient type of garage door? Automatic garage doors are typically convenient no matter what type of opener or material you choose. But according to our specialists in garage door repair Maplewood, fiberglass garage doors are the newest type, featuring lightweight and minimum maintenance. To add to their convenience, they do not require a lot of effort to maintain. Which is the sturdiest type of garage door? Steel garage doors are usually sturdier than other choices. 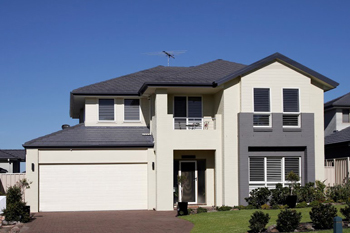 It is also currently the most common type of garage door, which most households have chosen. However, this does not mean that other types lack sturdiness, but steel garage doors have proven their reliability over time. What do garage door prices include? Garage doors usually come with some main parts but definitely not the electric opener. So, the cost doesn't include the operator and the remote. It will also depend on the manufacturer. Some might work with opener manufacturers and give you a full price of the whole system. What is the emergency rope of a garage door? The emergency rope is not the safety cable that prevents door springs from violently springing out when they break or snap. This rope is a part of both the door and the door opener unit. What it does is to release the door from the opener carriage during emergency situations.